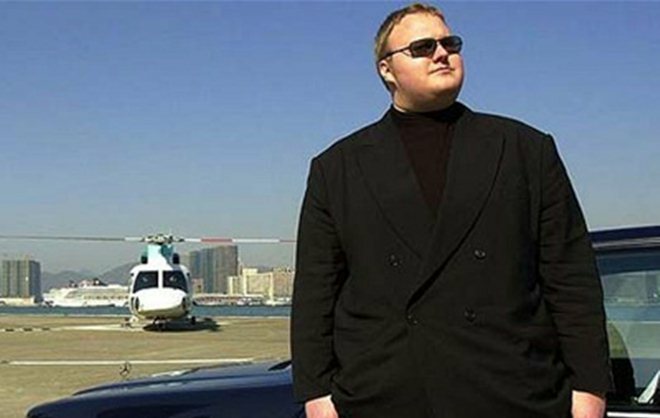 Megaupload founder Kim Dotcom has dropped the biggest hint yet that his disruptive new music project is on schedule to launch before the end of the year, according to a tweet from the German, who US authorities accuse of copyright infringement, fraud and racketeering. Is Megaupload also relaunching this year? See update below for more. 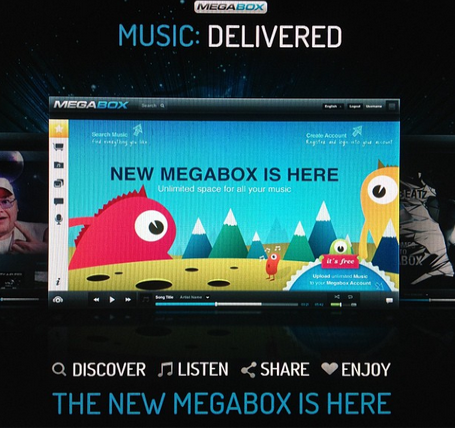 Dotcom’s new venture, Megabox — a service that allows artists to sell music direct to users — was first unveiled before his arrest and had been presumed to be over since the Megaupload site was taken down by the US Department of Justice in January. UMG knows that we are going to compete with them via our own music venture called Megabox.com, a site that will soon allow artists to sell their creations direct to consumers and allowing artists to keep 90% of earnings. We have a solution called the Megakey that will allow artists to earn income from users who download music for free. Yes that’s right, we will pay artists even for free downloads. The Megakey business model has been tested with over a million users and it works. You can expect several Megabox announcements next year including exclusive deals with artists who are eager to depart from outdated business models. With many artists already enjoying closer relationships with their fans through social media sites — and Twitter in particular — Dotcom’s new project is a fascinating proposition. Dotcom says that Megabox will “unchain” consumers from the music industry, and he tweeted a teaser of the developing service in June. This isn’t likely to please US authorities but, going on his latest tweet, it seems likely that Dotcom will tread particularly carefully with this new project. Dotcom has been released on bail and, with his extradition hearing rescheduled to March 2013 due to issues with the way police have handled the case, that gives him and his team plenty of time to ready their next assault on the music industry. Update is Megaupload also returning? 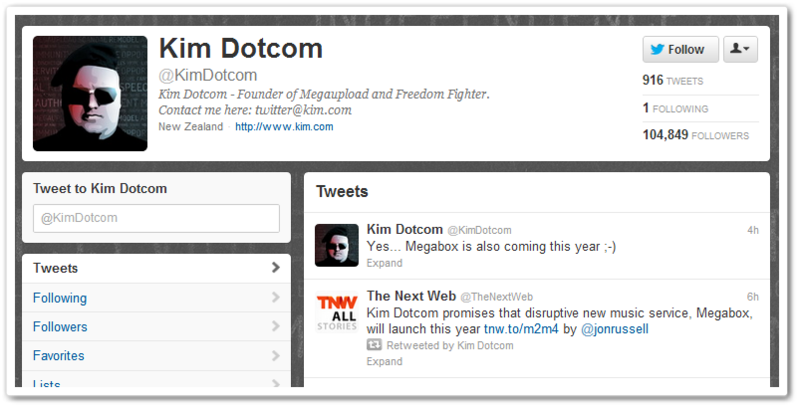 Dotcom retweeted our post and added a cheeky tweet that suggests that Megaupload is relaunching this year (and that he was referring to that service with his initial tweet). Dotcom could, of course, be referring to (yet) another service. Either way, he confirmed that Megabox will launch this year – we’ll stay posted for more.